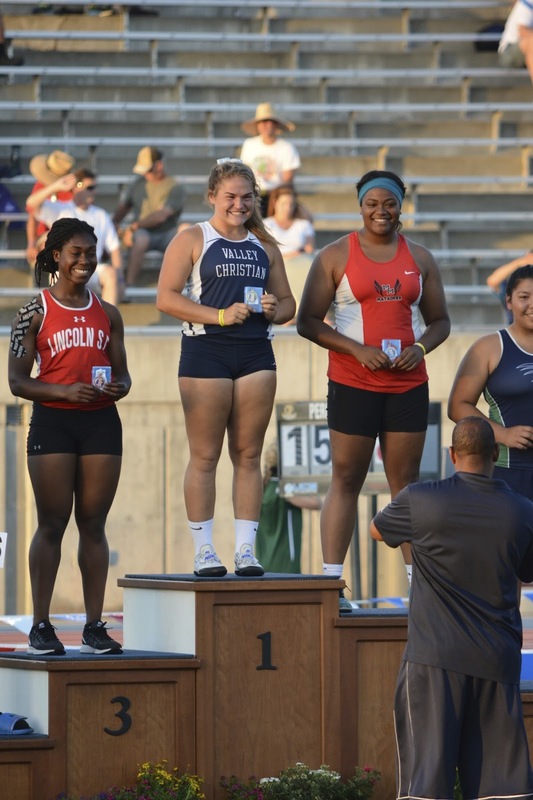 Clovis, CA – Elena Bruckner, perhaps one of the most prolific combo throwers in U.S. history, is now a two-time state champion after successfully defending her shot put title at the 2016 CIF Track & Field Championship. She also finished second in the discus. Due to an extreme heat warning running events were moved back an hour to 7 pm, but field events remained in the hottest time of the day. The thermostat topped out at 105 degrees for the girls discus which had a 4:30 pm start. While competing in such conditions were unpleasant they were not unbearable. Still the heat is draining and no doubt takes it’s toll on the body. "When I got here, right from the start, I started to overheat," Bruckner told the San Jose Mercery News in a post meet interview. "When I was warming up (for the discus), everything felt off ... A couple of (the discus attempts) felt technically correct, but didn't have power in them." Bruckner began the day with a runner-up finish in the discus, finishing second to Pamela Amaechi of Lincoln High School in San Francisco. She improved upon her third place finish from a year ago but the national leader in the discus couldn’t help but feel disappointed. She threw 165 feet in the State Trials the day prior, a mark that outdistanced the winning throw but couldn’t find her groove in the finals. While temperatures “cooled” to 102 degrees for the girls shot put, it was a runaway victory for Bruckner who ended the season undefeated in the event. Despite a throw that was 5 feet off her personal best she was not challenged in the event, leading from the start. She is the current state record holder with a mark of 54-7, that mark ranks #5 all-time in U. S. history. 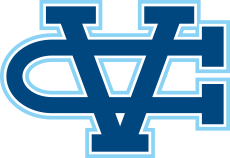 By the end of the shot put Bruckner had scored 18 points before a single running event took place, personally giving the Valley Christian girls a big number to chase in the team competition. By the end of the meet she alone powered the Valley Christian girls finished 6th place in the team competition. Bruckner missed graduation to defend her state title. She had received her diploma at the Baccalaureate service Thursday night before driving to Fresno. The day after reflecting on it all it the weekend was all just a blur. "Not many people are able to win a state championship on an off day," Coach Small. "Elena has had an amazing year and I am proud of what accomplished here today. She should be too." Bruckner now turns her attention to the Junior Nationals that will qualify athletes for the World Junior Championships. She also hopes to compete in the US Olympic Trials in July. She is just shy of the Olympic Standard of 57.00 meters (she has a personal best 56.95m) but is currently in a qualifying position ranked in the top 24.